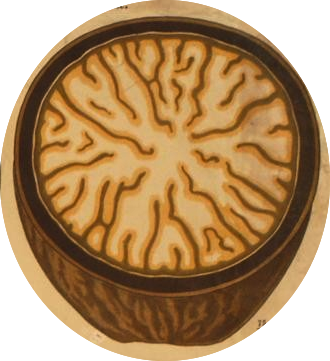 There are lots of old, stock descriptive terms that still appear in modern pathology texts – I’m thinking of things like “anchovy sauce” to describe the contents of an amoebic liver abscess. Anchovy sauce was apparently a popular condiment in Europe and Britain from the 17th century onwards, so it would’ve been familiar to medical men of those times. Today, not so much. While anchovy sauce may still be on the shopping list for British foodies, it’s practically unknown in the rest of the English-speaking world. What we know well here in South Africa is anchovy paste (or just “fish paste”); along with peanut butter it‘s a standard sandwich filler. But I remember clearly that as students we were lectured on the difference between anchovy sauce and anchovy paste and that only the sauce was relevant to amoebiasis. The sauce is apparently chocolate-brown and thinnish in consistency, while the paste is pinkish and has the consistency of, well, paste. But a quick browse on the web shows that today anchovy sauce and anchovy paste are employed almost interchangeably in relation to amoebic liver abscess, and even the descriptions of the appearance of sauce and paste seem to overlap. This suggests that many people have no experience of one or the other. The anchovy sauce description makes the distinction between amoebic “pus” and the thicker greenish-yellow pus found in a bacterial liver abscess. In fact, some esteemed textbooks don’t even mention the classic anchovy sauce appearance; for example in “Pathology of Tropical and Extraordinary Diseases”, amoebic liver abscesses are said to contain “yellow or gray, opaque liquid material”. To add to the confusion, anchovy sauce is also sometimes used to describe the blood-and-pus liquid stools in amoebic dysentery (and even other types of colitis). Continuing the theme but changing the topic, it could be time to reconsider the term “miliary” tuberculosis. Miliary tuberculosis occurs when a shower of blood-borne bacteria result in numerous tiny, white tuberculous foci in the organs, evidently resembling millet seeds. Now millet is not your run-of-the-mill grain these days, though students from rural Africa or India would be acquainted with it. 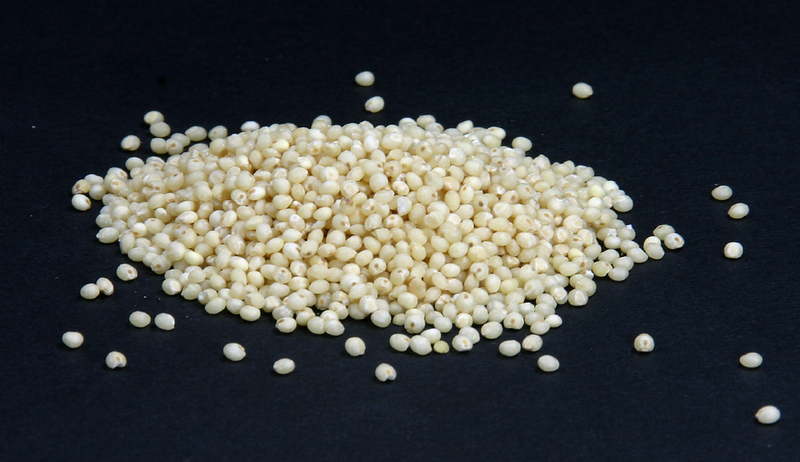 For urban youth a grain like quinoa is more on trend, or perhaps sesame seed is more widely known, and both are much the same thing as millet visually. But the point is, when you have to explain what millet is, surely it’s no longer useful as an analogy. 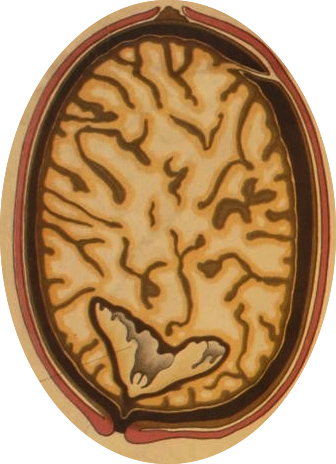 Moving on to “nutmeg liver”, a mottled appearance the liver may have when it is chronically congested, for example in heart failure. Because nutmeg was used “medicinally” through the centuries, physicians would once have known its appearance as well as their cooks did. Only someone who grates their own nutmeg will understand the nutmeg liver analogy because it refers to the appearance of a whole nutmeg in cross section. The description is no longer helpful in a modern urban world where nutmeg will almost always be bought in a convenient powdered state, ready for sprinkling. By chance, all 3 traditional descriptive terms I’ve covered here relate to food, which is a reflection of how many of these food analogies there are. In his short article “Food in Pathology” Dr Chhanda Bewtra compiled a list of 57 examples. Some extras can be found in The Gourmet Pathologist. But questions have been raised about keeping alive some of these terms, given their lack of meaning in different cultures (See Analogies and Metaphors in clinical medicine). In summary, should we perpetuate descriptive terms in pathology that once had currency in a particular time, place or culture, but are an enigma to contemporary medical students? Still, if you’ve got the time and inclination to figure them out, the old descriptions are quite cool. Chapman H, Connor DH, editors. Pathology of Tropical and Extraordinary Diseases. Washington: Armed Forces Institute, 1976. Bewtra C. Food in pathology. Am J Dermatopathol 1996; 18(5): 555. Batistatou A, Zolota V, Scopa CD. The “Gourmet” Pathologist. Int J Surg Pathol. 2000; 8(4):341-342. Masukume G, Zumla A. Analogies and metaphors in clinical medicine. Clin Med 2012;12(1):55-6.